Is your sewer rehabilitation project site safe for workers for confined space entry and tunnel construction? 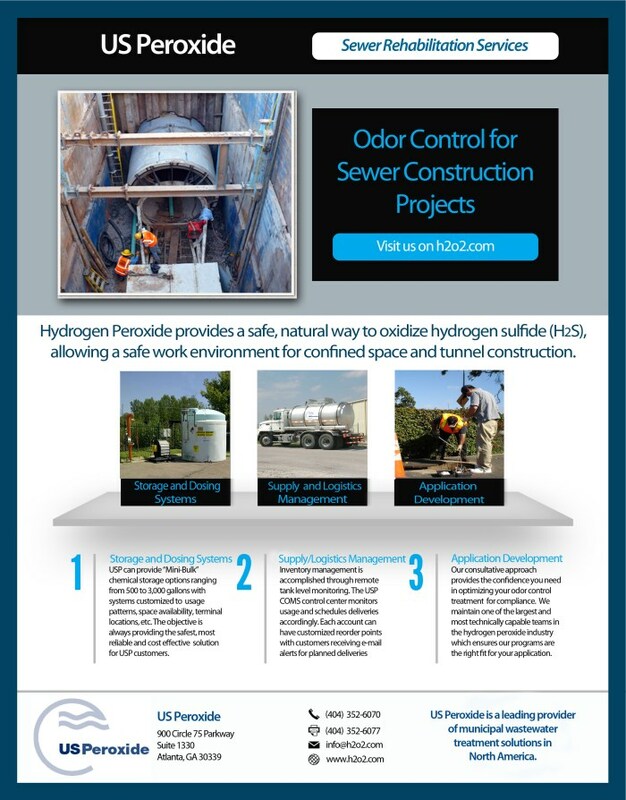 Control sulfide odors and provide a safe environment for your construction crew with hydrogen peroxide. US Peroxide provides all you need to control sulfides and odors during the construction and rehabilitation of sewer lines. Our total package includes application development, hydrogen peroxide supply, total chemical and logistics management, expert technical consultant, dosage and storage system, and application monitoring to assure you are in compliance.